One of the perks of being a children’s librarian is that no one makes fun of you for reading a book written for 2nd to 4th graders. That’s how I came to read Clementine. As 8-year-old Clementine would say, that’s called Doing My Job. Within days, I’d also read The Talented Clementine and Clementine’s Letter. That’s called Having Fun. These best-selling books are for 2nd to 4th graders, but they’re the kind of delightful children’s stories that adults can enjoy. Yes, Clementine gets into the sort of trouble that you’d expect in a book for this age group. Trying to help her friend, Margaret, who has gotten glue in her hair, Clementine ends up cutting off all of the girl’s hair, “(w)hich is not exactly easy with those plastic art scissors, let me tell you.” When Margaret suggests the chopped off hair might look better if it was red, Clementine colors it with Flaming Sunset permanent markers, complete with orange swirls on the girl’s forehead and neck. Margaret’s mother is not pleased. The humor in these stories works for kids, but it’s smart enough for adults. And Clementine is one of the most loveable main characters I’ve met. The characters of Clementine’s parents, a building superintendent and an artist, are almost as enjoyable as the little girl. Clementine helps her father in his ongoing battle against pigeons that poop all over the front of their building, and when she’s feeling frustrated he lets her ride up and down in the service elevator. She feigns nonchalance when her friend Margaret bossily tells her another rule: when there are two children in a family, one child is always the “easy one” and the other, the “hard one.” Clementine knows which one she is. She begins to worry. And worry turns to alarm when she overhears a phone conversation in which her mother orders a cake with the wording, “Good-bye and Good Riddance!” And then her mom spells out the name C-l-e-m-e-n-t-i-n-e. Clementine’s not-so-good week is heading for a big surprise. These books make great family read-alouds. The library circulates an audio version of Clementine that made me laugh out loud. But try to check out the book at the same time, because you shouldn’t miss Marla Frazee’s wonderful illustrations. Check the WRL catalog for Clementine. Children’s literature is full of plucky, good-hearted orphans looking for a home. In The Willoughbys, Lois Lowry gives us a set of plucky, good-hearted children looking to become orphans. This spoof of the “deserving orphan” story has all the necessary plot elements: a baby delivered at a doorstep, a tragic accident, a grieving rich person, a critical letter unopened, and an assortment of unsavory characters. If you are only familiar with Lowry’s serious-minded works, such as The Giver and Number the Stars, both Newbery Award winners, this one will surprise you. When I described the Willoughby children as “good-hearted,” I wasn’t entirely accurate. They have inherited a certain amount of ruthlessness themselves. Having decided that they would prefer to be orphans like Huckleberry Finn or Anne of Green Gables, they drop a leaflet for The Reprehensible Travel Agency into their parents’ mail slot. Their parents take the bait, leave the children at home with a nanny, and set off for canoeing among crocodiles and touring volcanoes by air with an inexperienced pilot. The nanny, a no-nonsense sort, bristles at being compared to Mary Poppins. “It almost gives me diabetes just to think of her: all those disgusting spoonfuls of sugar!” But she turns out to actually like the children. To the children’s dismay, their parents send gleeful postcards telling of their escapes from crocodiles, plane crashes, and earthquakes. And the children discover that their parents have put the house up for sale, so they (and the nanny) are soon to be homeless. The rest (I’m not going to get into the baby on the doorstep and the grieving rich guy) is a hilarious race to the finish, to see who will outlast whom. At the end, Lowry includes a tongue-in-cheek glossary and a bibliography of classic “orphan” books to which references are made during the story. Since she sticks to the old-fashioned tales, Lowry does not mention the Baudelaire children of Lemony Snicket’s Series of Unfortunate Events. I mention them because fans of those books are almost certain to enjoy The Willoughbys. This book will be on next year’s 4th and 5th grade Battle of the Books reading list. Check the WRL catalog for The Willoughbys. that my sight was slipping away. and felt the darkness settle around me. and made my way to the subway. I have a journey to go on. 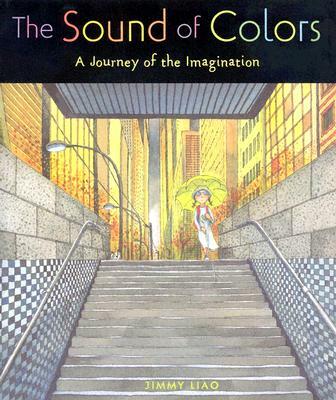 With those words, a blind girl descends into the subway in search of the color she has lost. I know.A blind child in a subway sounds like the setting for a thriller—not a picture book.But author Jimmy Liao’s subway is a friendly, and delightfully imaginative place.It whisks our young heroine off to fly over city rooftops, pick apples with elephants and sunbathe from the back of a whale. I’m not saying it won’t appeal to children.They will love the whimsical illustrations and find new quirks every time they look at them.The train’s passengers are frequently wearing funny noses, outrageous hats or animal costumes.At one stop, the platform is paved with yellow brick and a lion and several tin men are riding the train. At another station, the platform is submerged and the train is swimming with fish, eels and passengers in scuba gear. When the blind girl (she has no name) exits the train at the underwater stop, she swims with dolphins and does a little sunbathing.With her shoes off and her hat and backpack resting behind her, she soaks up the sun, surrounded by a still, blue ocean.At first she appears to be on a tiny island, but she’s actually lying on the broad head of a whale who is mostly submerged.Below the surface, you can see his gaping mouth and a beady eye. ‘I’m looking too,’ I tell him. This would be a perfect book for read-aloud and discussion among middle-school or high-school students.I’d also give it to someone struggling with a loss. Author Jimmy Liao is a native of Taipei, Taiwan and a cancer survivor.He has written many books that have been translated into English.The Sound of Colors has been adapted into a stage play and a motion picture. The lovely English text is adapted by Sarah L. Thompson. In the last few months, I’ve been living in denial. But it’s a sad fact: I don’t have any new adventures to look forward to at Hogwarts School of Witchcraft and Wizardry. No new bungled transfiguration attempts. No more Quidditch. No more snide comments from Professor Snape. But I’m happy to report that I’m on my way back. 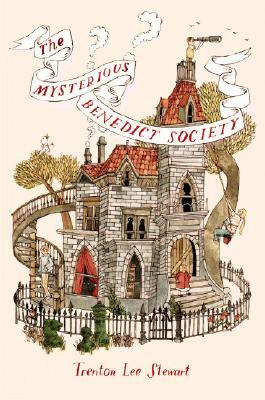 And this is thanks, partly, to The Mysterious Benedict Society. There are no pointy hats or magic wands here, and certainly no Hogwarts. But there is a sense of delight similar to the early Potters. And once again, a group of bright, enterprising kids become friends while skulking around, dashing from enemies, puzzling over mysteries and, I almost forgot, saving the world. And who wouldn’t want to share an adventure with the crew of Reynie Muldoon, Sticky Washington, Kate Wetherall and Constance Contraire? Reynie is the group’s puzzler, and the story gives him—and the reader—plenty of mental knots to untie. Sticky is bald and nervous, but he can remember anything. Kate is bold and athletic and on her belt wears a bucket filled with an assortment of items, including a horseshoe magnet, fishing line, a bottle of extra-strength glue, a slingshot and a spyglass disguised as a kaleidoscope. Constance is so short and pudgy that Reynie thinks she resembles a fire hydrant. She’s as crabby as her name implies, and readers will think, “What’s with her?” They’ll find out in a wonderful surprise near the end. “Are you a gifted child looking for special opportunities?” This is the newspaper advertisement that attracts our four heroes. They join lots of other children in a series of quirky tests. They take a sit-down written exam with absurdly difficult questions–until Reynie notices that the answers to each question are hidden in the text of other questions. Later, they are instructed to cross a tiled room without their feet touching any yellow squares. On their way to one exam, they’re faced with another challenge, in the form of a girl, supposedly another test-taker, who has dropped her pencil in a grate. Will they help her, and how, since they were instructed to bring one pencil only. When only Reynie, Sticky, Kate and Constance remain, they meet Mr. Benedict, a loveable genius who has figured out that a nearby school for gifted children is sending strange brainwashing messages into the world. In between sudden bouts of sleep—Mr. Benedict is a narcoleptic—he asks the four to enroll in the Learning Institute for the Very Enlightened to find out what is happening and stop it. They agree and The Mysterious Benedict Society is formed. It’s hard to say more without giving anything away. But the children will not succeed without each contributing his or her unique talents. Along the way, they climb elevator shafts, send and receive Morse Code messages and create a vomiting epidemic among their fellow students. Parts of this book will remind readers of Charlie and the Chocolate Factory, and in a spot or two, A Wrinkle in Time. The tone isn’t as maudlin, but it will also appeal to Lemony Snicket fans who are missing that series. With any luck, author Trenton Lee Stewart will plan to make a series out of this one, too. You’ve got to love a book that features a giant sinkhole gobbling up portable middle-school classrooms. Tangerine’s got that and so much more. There are also underground fires, mosquitoes, termites and a psychopathic sports hero. This is the story of the Fisher family, who move to Lake Windsor Downs, Florida in search of “The Erik Fisher Football Dream.” Erik can kick 50-foot field goals all day. He’s also an out-of-control bully who enjoys terrorizing and hurting people. Erik’s middle-school-aged brother Paul is the only member of the family who realizes that there’s something wrong with his brother. Their mother is too busy running the neighborhood association. (She refers to neighbors as “the two-story-Lancaster with the teal trim” or “the white Tudor with the red tile roof.) Their father is preoccupied living vicariously through Erik’s stardom. The Fisher’s story is reflected in the hastily-built community of Lake Windsor Downs. Things look great on the outside, but, like Erik’s dreams, they’re about to get sucked into a big hole. Developers threw up the houses on top of bulldozed tangerine groves. They covered the earth with white sand and built a perimeter wall, but nature seems determined to get the last laugh. Lightning storms blast afternoon football practices. Underground “muck” fires smolder in backyards. When the neighborhood association tries to douse the never-ending fires, they create a pestilence of mosquitoes. But the sinkhole is still my favorite. After his overcrowded school’s portable classrooms slide into the mud, Paul Fisher switches schools to attend Tangerine Middle, where he joins the soccer team. Paul is an athlete in his own right, and soccer fans will enjoy the play-by-play of several matches. Paul’s teammates are a tough group of kids who spend much of their off-time sweating in the remaining tangerine groves to help a local man who’s life’s dream is developing a new variety of tangerine. Erik has the citrus farmer attacked, which eventually leads to a face off between students from Tangerine and Lake Windsor Downs. It’s time for Paul to break family tradition and tell the truth. 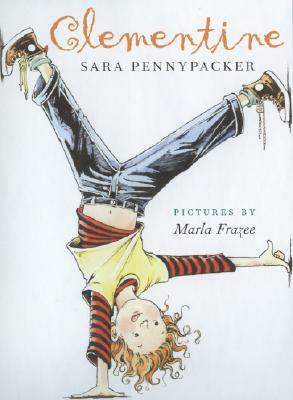 This book is shelved with the junior fiction, but it’s a fun, quirky read for all ages.